Spring is in the air and now it's time to bring it into my closet! 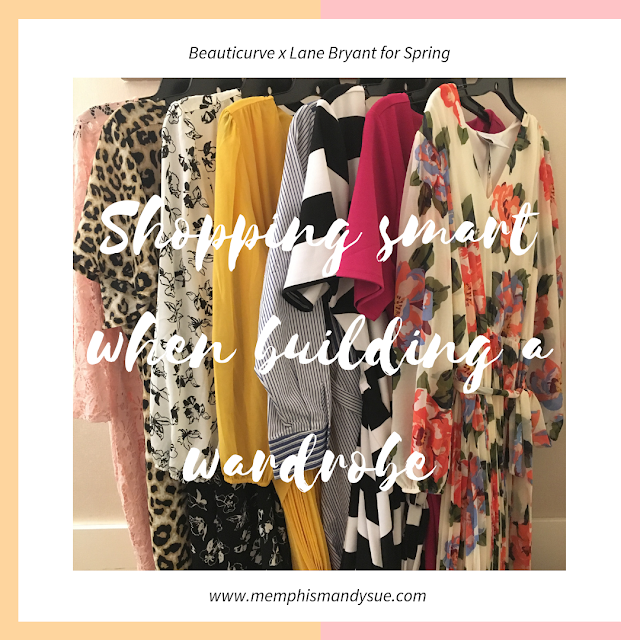 While I own many beautiful dresses I do like to add a new dress to my collection each spring so today I'm going to walk you through my shopping process when I am shopping with a purpose. For this shopping trip I am sharing the BeautiCurve x Lane Bryant collection but the process is the same whenever I look to build my wardrobe. Before I even leave my house I go into my closet and examine what I already have and think about what is missing to get an idea of what I am looking for. 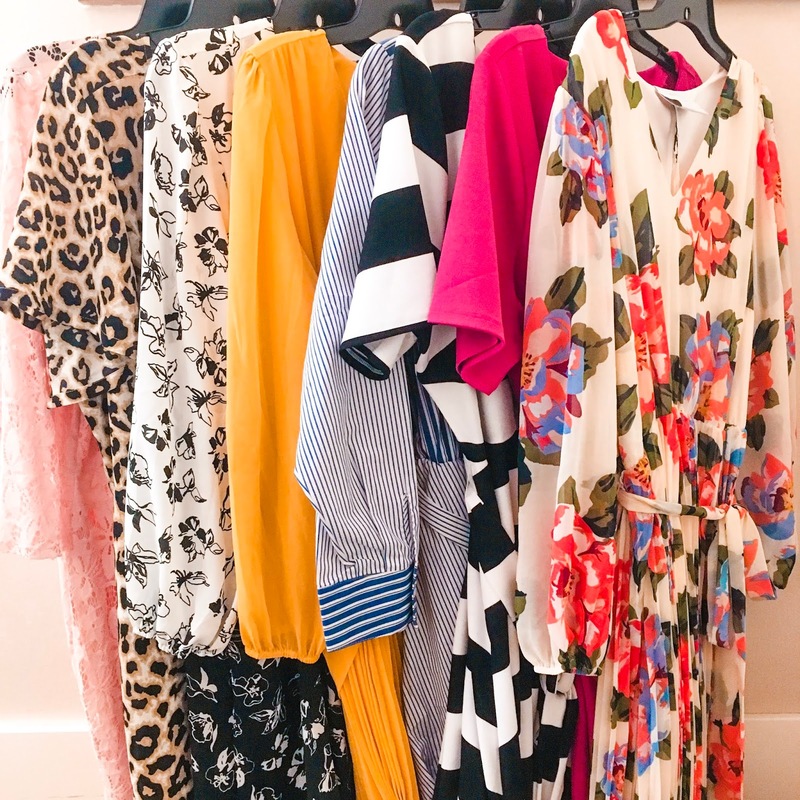 I keep my dresses organized by color ; while there are a few dresses that are either a little too cocktail for the office or a tad too short because I work in a casual environment I can wear most dresses to work and don't feel the need to separate them by type. 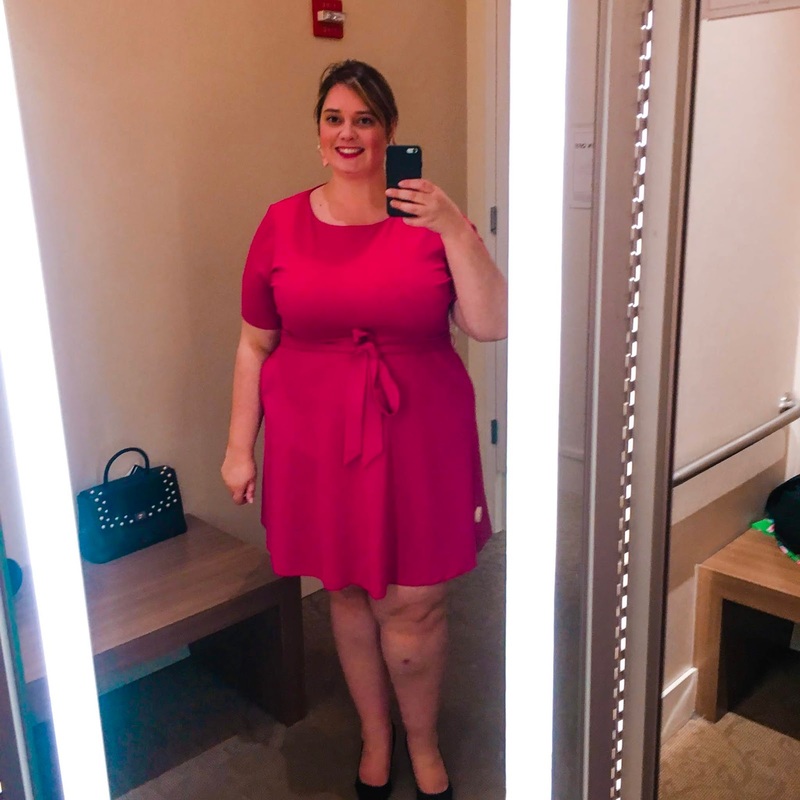 If I dressed more professionally and had dresses that were more specifically work dresses or weekend dresses I would separate but I find all of them together works well for me. 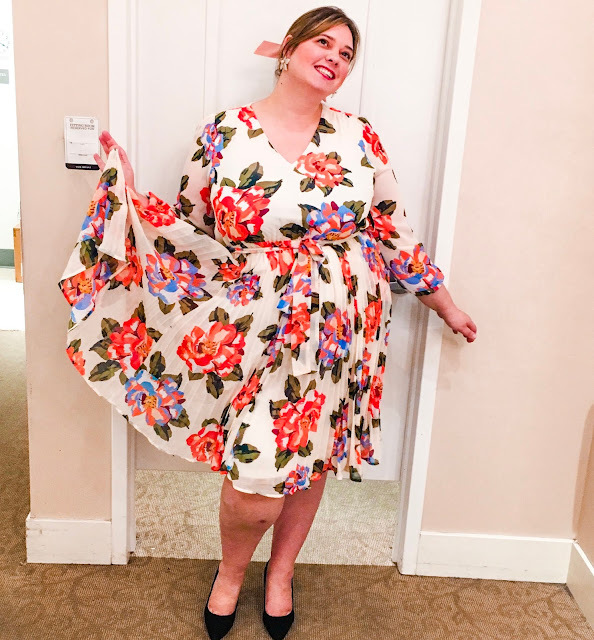 Once I'm in store I will grab anything I like in the genre I'm shopping for - so on this trip I only looked at dresses in the BeautiCurve collection. My local Lane Bryant carries eight of the ten pieces in the collection so I grabbed my size in each but decided once I was in the fitting room that one just wasn't going to work for me and didn't try it on. For each dress I take a picture because I find looking at a picture can sometimes help me notice things I don't notice in the mirror. If I am shopping with anyone I will also show each item (in this case my husband) and while I will listen to opinions I tend to be pretty decisive on my own. 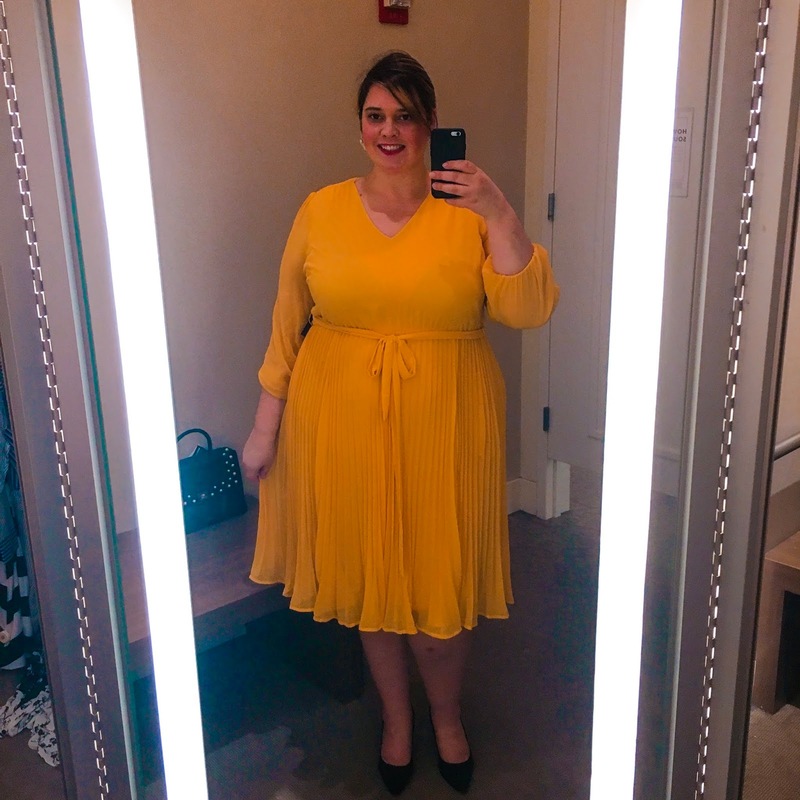 Here are the seven items I tried on. For reference I am 5'10 and wearing a size 20 in every item. I have everything linked below in case you are looking for any of these items. After I tried on all the dresses it was time to start narrowing it down. I tend to think about what I already own and try not to purchase new things that are similar to what's already in my closet. Hence why it is a good idea to take a moment to look through your closet before shopping. 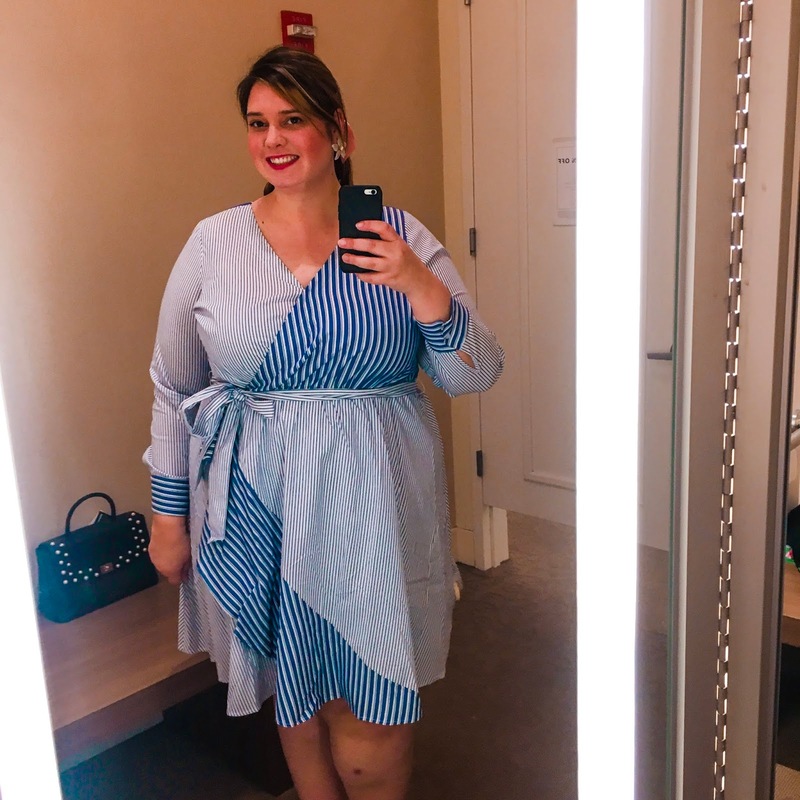 While I love the yellow dress and blue stripe wrap dress most of my dresses are blue and I already have a blue and white stripe dress. I also have a yellow top and skirt set I can wear like a dress. If I had an unlimited shopping budget I would have purchased both of these dresses but since I don't I really have to control myself to buy what fits my wardrobe as a whole and not just based on the individual piece. If I was just shopping and not blogging about it I wouldn't have tried these dresses on so I could resist falling in love but I did want to show y'all the fit of these items because they might fill a need in your closet. 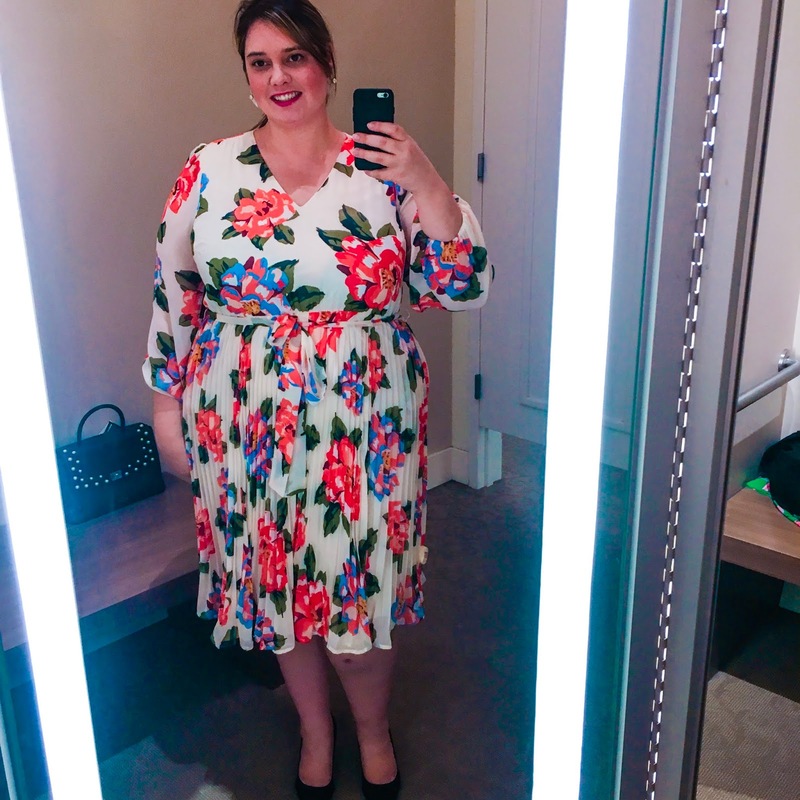 Next I would typically eliminate anything that doesn't fit my lifestyle - I tend to not purchase too many items that I can't wear to work. 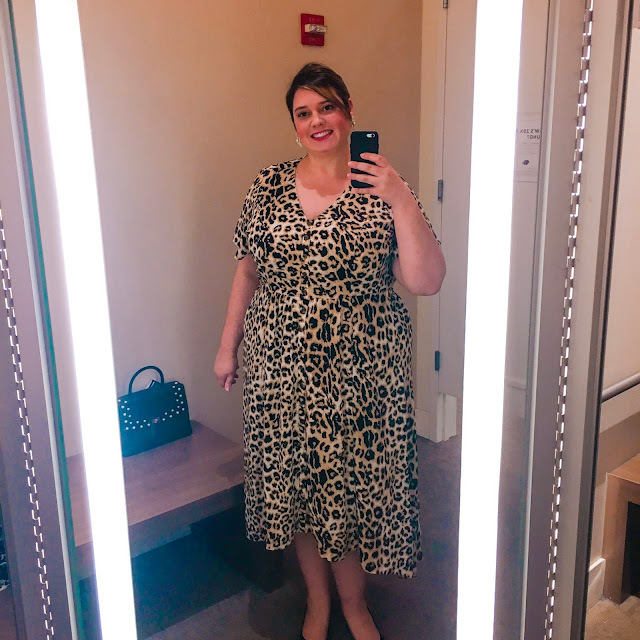 Usually I would also do this before even taking things into the fitting room but sometimes something will look appropriate on the hanger but once on not so much (think low necklines or short hems) This time that didn't eliminate anything for me. 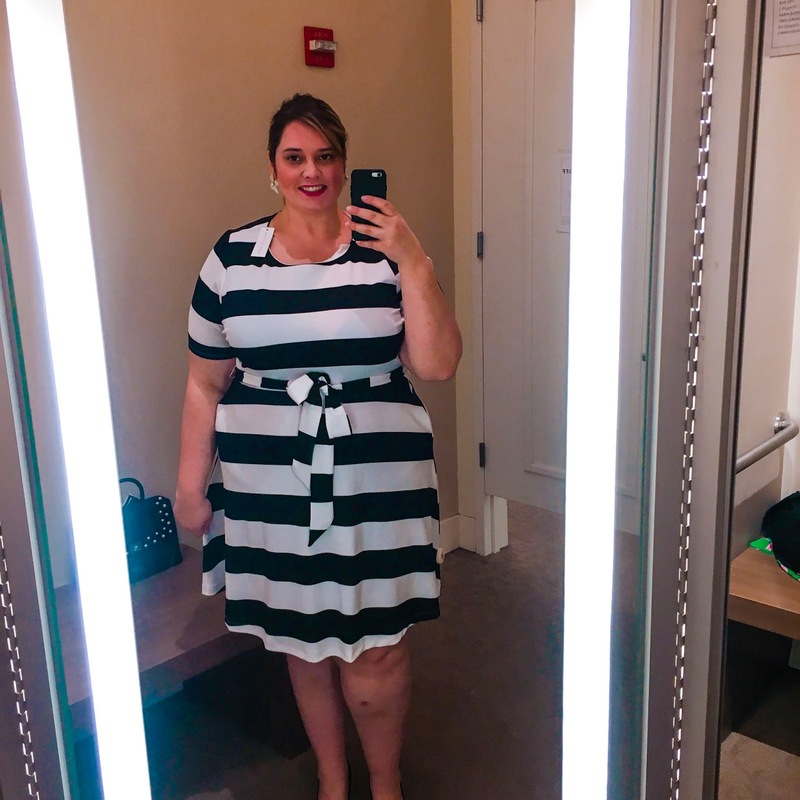 As I go I will put each item in a considering or no stack - while I think overall this collection fits beautifully the pink dress and black and white stripes hugged my hips a little too much for my personal taste and were shorter than I would like so they went in the no stack. This left me with three finalists which I put back on to give another look and got my hubby to take pics with better lighting so I could really examine how they looked on me. This is where it got really hard because all three of these dresses fit well, have the length that I love, aren't revealing on top and are really beautiful. I loved the white dress with flowers from the moment I saw it advertised and it did not disappoint in person - plus I don't have any white base dresses with a print so this one seemed like the smartest purchase and made it into my bag. 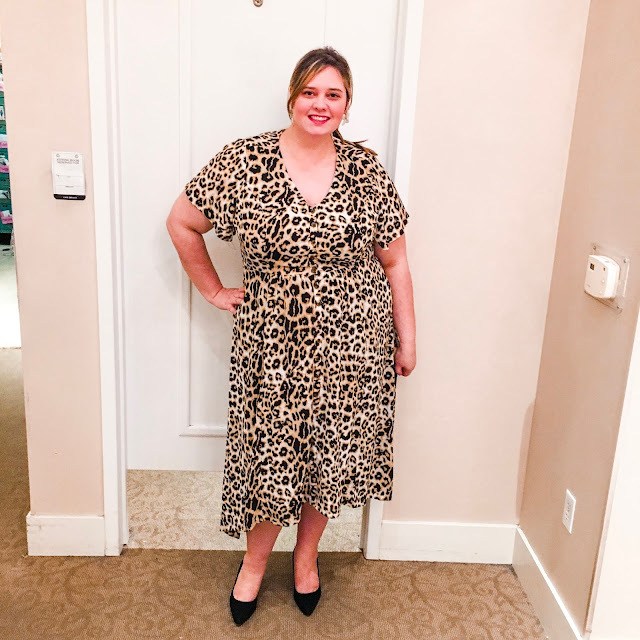 Since dresses were on sale and I had some real woman dollars to redeem I could buy one more dress and it was really hard to decide between the black and white floral wrap and the leopard. 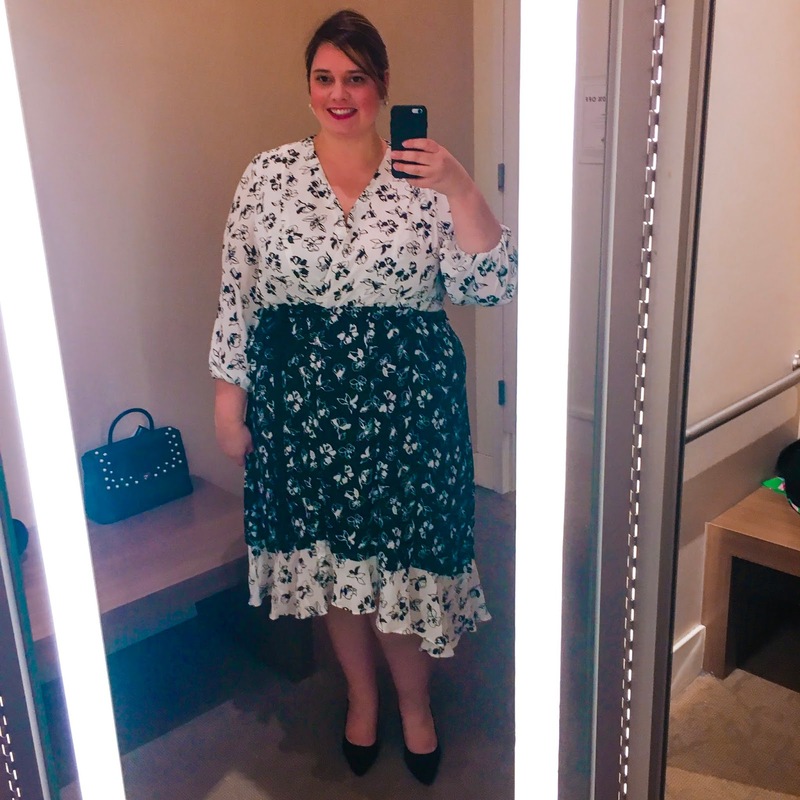 I don't have a black and white or a leopard dress but ultimately it came down to feeling like the black and white dress looked more spring and something I could get more immediate wear out of and having more of a unique look. 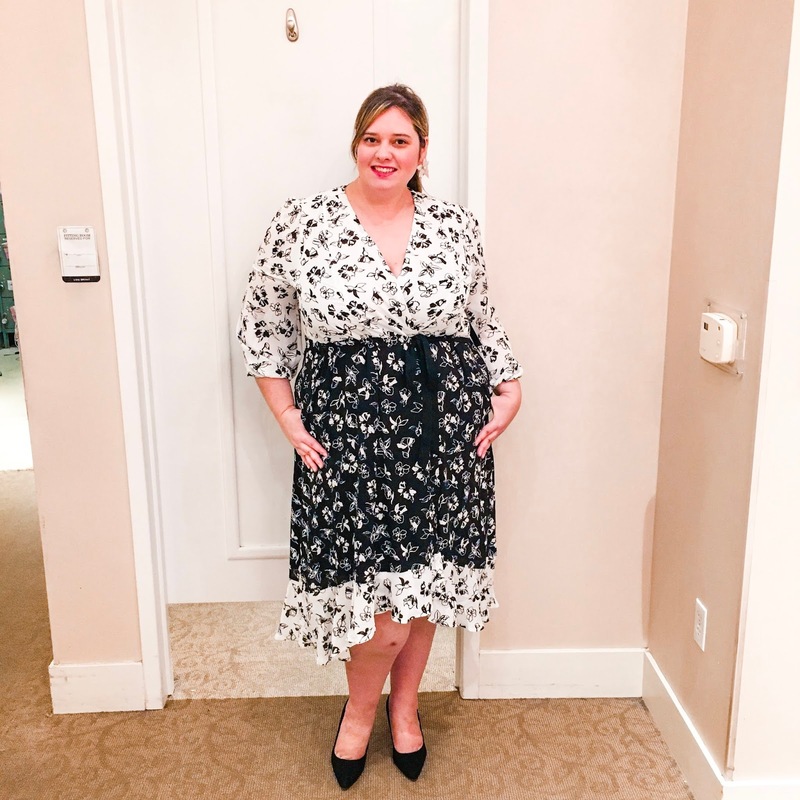 I'm really excited about my new spring dresses and I loved the entire collection - any one of these dresses would be a great addition to your wardrobe. 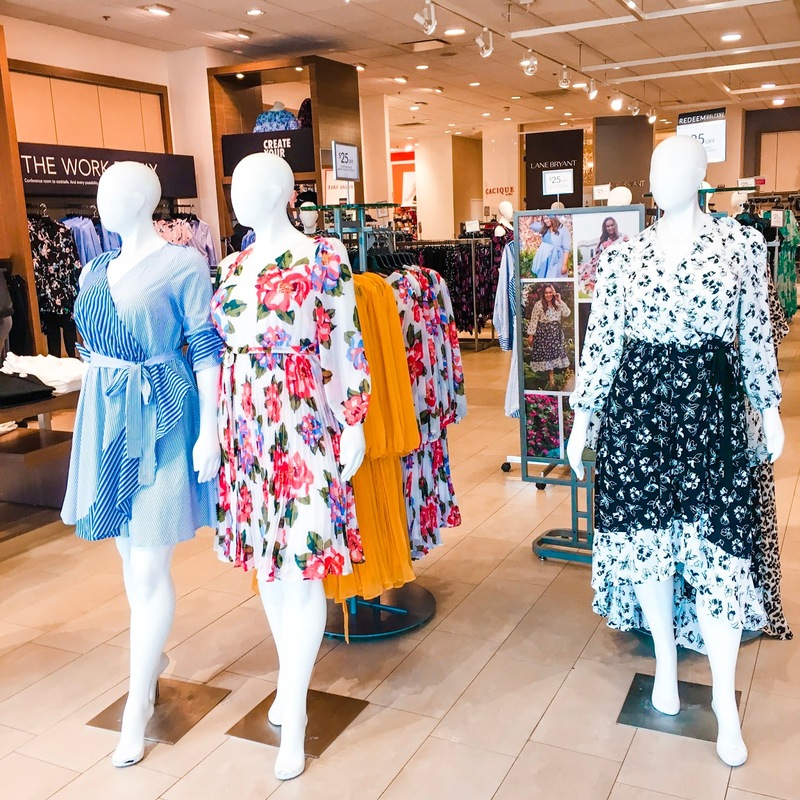 I hope you enjoyed this post and you found my shopping process helpful for your next shopping adventure , let me know if you purchase anything from this collection! All the dresses look beautiful on you by I specially loved the animal print ones. Super cute! Love all the options and your insight!! !